The TRP Distributors SA MX National Championships Finals This Weekend. Krugersdorp – This Saturday 20 October sees the final event in the TRP Distributors SA MX National Championships take place at Dirt Bronco, Linley Rd (Viscount Rd) Randfontein in Kurgersdorp. 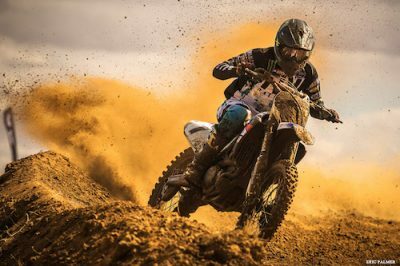 While there are many divisions competing during what is bound to be an exciting day of riding, amongst them High School, Ladies, Pro Mini and Senior Support divisions, as well as well as the highly contested MX2 and MX3 divisions, all eyes will be on the hotly contested premier MX1 division. Not to be discounted, third placed Tristan Purdon from the Eastern Cape has an opportunity to jump from third place to a second in the division, and is determined either way for a huge performance at Dirt Bronco. Both Goosen and Purdon have been putting in the extra hours, in preparation for this event, and do not want to let a final big push slip go to waste. “For me, the goal is to win all 4 heats at this event,” said Purdon. “So, exciting times for the last round.